When you’re heading somewhere new, it’s always a good idea to ask the locals where to hang. So when we took Hotel Thrillist to Nashville, you know we did the same. 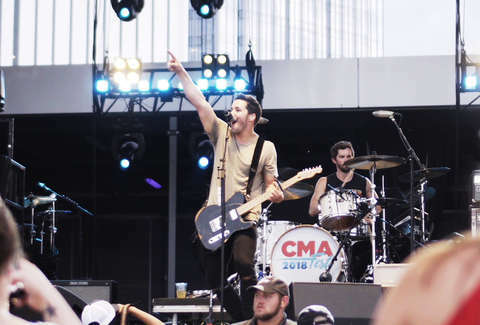 Cale Dodds was born in Georgia, but since he became one of the next big names in country music, he’s been calling Music City home. So before he took the stage at Hotel Thrillist: A Nashville Feast, we picked his brain about where to eat, drink, and see live music in the city -- that way we can do Nashville the way the locals do. Right now, Nashville is getting 100 new residents a day -- and you can count Sunda among them. It’s a Chicago-born Asian fusion spot that just opened in the Gulch this spring, with menu items ranging from classics like yellowtail jalapeno to a sushi roll called “Gambler” with spicy tuna, shrimp, and a lone piece of ghost pepper tucked in a single piece. For Dodds, this is the place to go when you have someone in town you need to impress: “Whenever my parents are in town and we’re celebrating something, we usually hit Sunda,” he says. No matter where you are, you need a go-to pizza shop. For Dodds, DeSano is it, because besides good pies, it also packs a casual atmosphere and enough space to pack in a crowd. “We’ll usually bring a couple bottles of wine, extra friends, fill up one of their huge tables and make it a party,” he says. “My brother and his wife just had a brand new baby boy, so spots like this where the whole crew can fit are great.” And this place is clearly legit, as all the pizzas are made in specialty wood-fired grills from Naples, and the ingredients are flown in from there every week. M Street is a happening stretch in the Gulch, with restaurants from several different concepts, including Saint Anejo. And while they have all the Mexican classics you’d expect, their speciality is really the drinks. Known for craft margaritas and more than 120 brands of tequila and mezcal, there’s sure to be an option for even the choosiest drinker. That’s one of the reasons Dodds loves it: “One of my of my favorite Mexican spots,” Dodds tells us. “This place has over 100 different tequilas and also satisfies my guacamole addiction” -- an affliction we all understand.